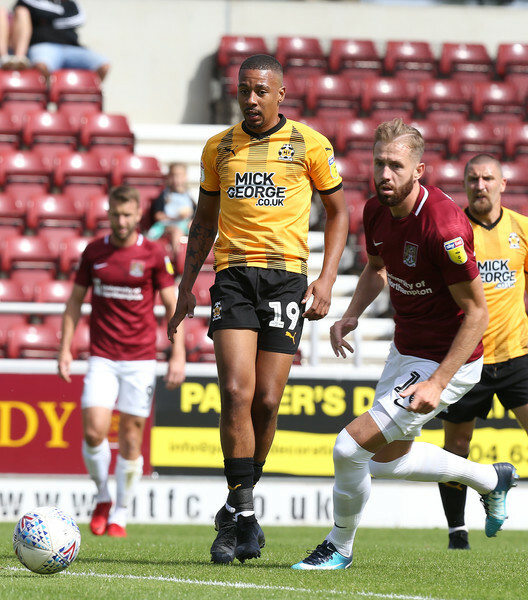 Reggie Lambe and his Cambridge United teammates twice fought back from behind to take away a valuable 2-2 draw against Northampton Town at the PTS Academy Stadium in Sky Bet League Two. George Maris and a late Gary Deegan strike saw Cambridge United level after Kevin Van Veen had put Northampton Town ahead on two occasions during a thrilling second half. Djair Parfitt-Williams and his NJ Rudar Velenje teammates went down 3 – 0 to NK Aluminij. NK Aluminij took the lead in the 27th minute when Francesco Tahiraj scored and they took that 1 – 0 lead to the break. The lead was doubled in the 51st minute when Anton Rogina, Tahiraj would score his second of the game in the 76th minute for the win. Willie Clemons watched his Bodens BK teammate draw 1 – 1 with Friska Viljor. Bodens BK took the lead in the 27th minute with a goal from Precious Johnson, but Friska Viljor would equalize in the 84th minute with a goal from Linus Nordin.